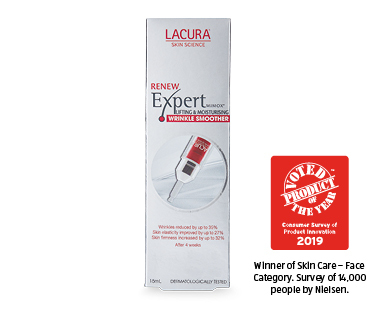 Lacura Skin Science Renew Expert Wrinkle Smoother reduces the appearance of existing fine lines and wrinkles and prevents the formation of new wrinkles, providing an instant ‘lifting effect’. Lacura Skin Science products are dermatologically tested. 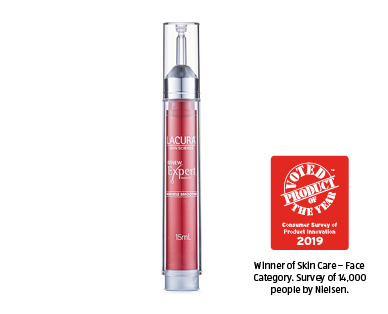 Winner Skin Care - Face Category.